Seeking to start Aquaponics? 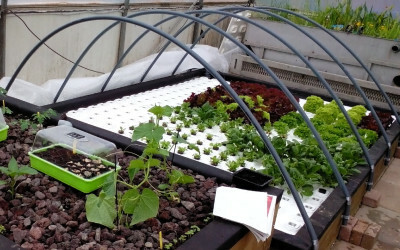 Or are you curious about how aquaponics relates to hydroponics or drip irrigation? TGS is committed to develop smart-tech aquaponics systems. We have developed modular aquaponics systems that are easy to set up , maintain and can be adjusted to a variety of ecological, economic and social circumstances. 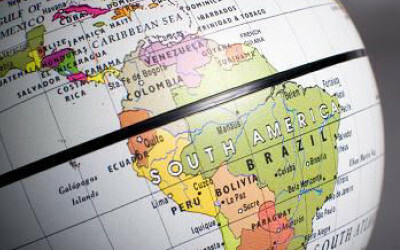 We have introduced aquaponics systems in Central-Asia, Ethiopia, Egypt, the Palestinian Territory and the Netherlands. Although we are big fans of aquaponics, we also look at other cultivation techniques. 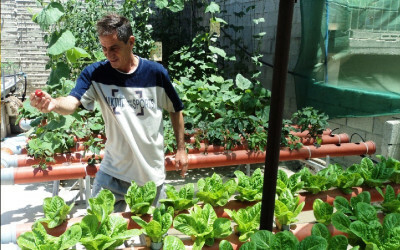 In some circumstances hydroponics or simple drip irrigation techniques make a stronger business case. We would like to discuss the possibilities with you! Get connected to learn how we can add value to your idea! Aquaponics is an innovative food production method in which fish and vegetable farming are integrated into one closed agricultural system. In aquaponics systems, plants receive nutrients that are added by the water through the cultivation of fish. After the nutrients are utilised by the vegetables, the water recirculates to the fish tank, making this system a highly efficient water saving farming method that can be exploited in any environment anywhere. Though experiences in past projects we’ve kept improving our designs to optimise production. Even though this sounds promising, aquaponics does provide serious challenges. In starting an aquaponics farm you need to create a small closed ecosystem (fish, bacteria and vegetables) that sustains itself. Starting an aquaponics system is therefore not as easy as often presented. TGS aims to help their partners/clients to overcome the initial phase of setting up a profitable aquaponics ecosystem that produces high-end vegetables. We can’t promise there won’t be challenges, but we will work side by side to solve those while boosting production. Our competitive advantage is in the integration of business plans and farm management in setting up aquaponics systems. The higher investment costs of aquaponics can be earned back through proper marketing strategies and feasibility studies that we offer. 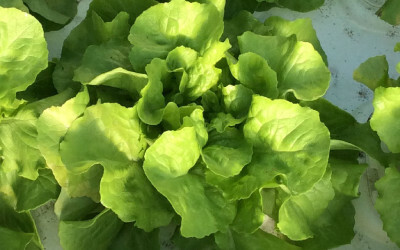 As part of the Aquaponics developments we are also involved with Hydroponics: The production of vegetables based on nutrients that are mixed with the water. Hydroponic systems could be a better business opportunity due to its simplicity compared to aquaponics. Please contact us for more information on the opporunties. We believe that aquaponics can provide a viable and reliable business model to serve (urban) areas with fresh, healthy vegetables and fish. Aquaponics is especially suitable in regions where conventional agriculture is difficult due to poor soil conditions and limited water resources. 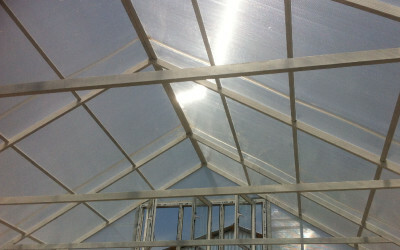 At TGS we are experienced in these fields, we have experience in developing and delivering aquaponics greenhouses around the world, especially in the middle-east and central Asia. 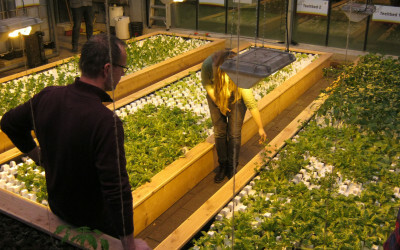 A part of these new developments is that we also started with decoupled aquaponics. 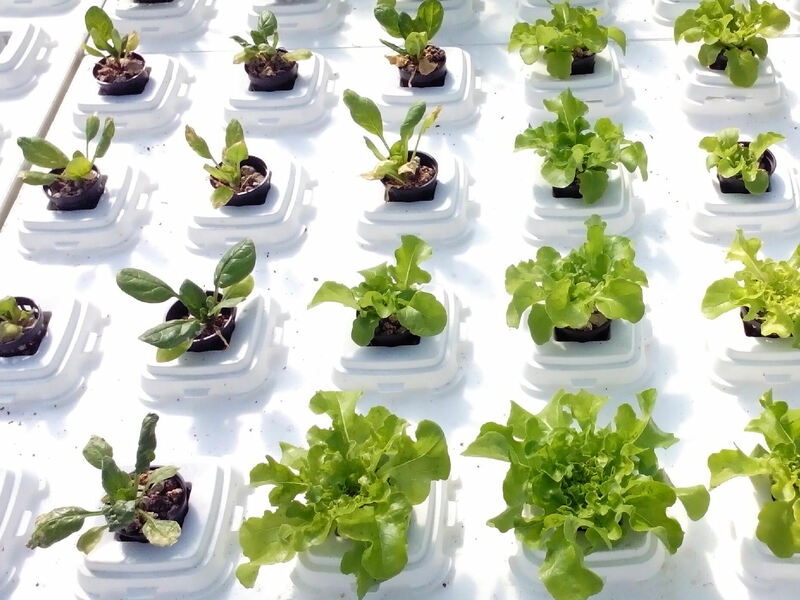 A new approach to aquaponics that allows for higher plant and fish yields due to the ability to manage water parameters for fish and plants separately. Beside the commercial aspect, we believe that aquaponics can play a major role in improving access to sufficient healthy foods, as aquaponics opens up the possibility for people to grow various kinds of vegetables and fish anywhere in the world. Aquaponics is especially suitable for countries with limited access to food, water, arable land and/or chemical fertilisers. A sustainable production method that does not depend on pesticides, herbicides or chemical fertilisers.